Yet another Korean kabuki play? Last week I asked Japan Times readers which is the case for North Korea’s “denuclearization”: “The third time is real” or “What happens twice will happen three times.” Despite all the somehow positive statements or optimistic news articles so far, Tokyo is still puzzled by the latest inter-Korean summit. Yes, media reports on the April 27 extravaganza in Panmunjom seem encouraging. The summit might have cooled tensions there. South Korean officials even said Kim Jong Un had pledged to give up his nuclear weapons if the United States agreed to formally end the Korean War and promised not to invade. Really? Has the third inter-Korean summit meeting bore any fruit? Watching from Japan, it remains to be seen. How often have we been cheated by Pyongyang? Actually, it is at least the seventh, not the third, time for Tokyo to see such inter-Korean “agreements” and, most ominously, they have never been implemented. In a nutshell, the latest Moon-Kim summit may be just more kabuki acting with exaggerated gestures based on the decades-old scripts or librettos that were first written on July 4, 1972, and then revised on Dec. 13, 1991. Lo and behold, it was well before the first inter-Korean summit in 2000. If you carefully read relevant North-South agreements and study their historical background, you will know how consistent North Korea has been. What matters most are documents, not a flamboyant political show televised worldwide. Let us now take a brief look at those agreements once again. The devil is always in the detail. 1. 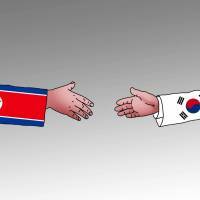 North-South Joint Statement (July 4, 1972): This is the first inter-Korean agreement on reunification. It stated that the process “must be achieved internally, peacefully, as a united people” and by “stopping military provocation.” These principles have been incorporated into every inter-Korean agreement thereafter. What is more noteworthy, however, is the date of this agreement. It may not be coincidental that it was just five month after then U.S. President Richard Nixon visited Beijing. The historic U.S.-China rapprochement might have prompted Kim Il Sung, the founding father of North Korea, to improve relations with South Korea so that he would not be isolated diplomatically. 2. Agreement on Reconciliation, Non-aggression and Exchange and Cooperation (Dec. 13, 1991): This agreement with 25 articles just elaborated the 1972 agreement. What is more intriguing again is the date. It is no coincidence that the agreement was reached just before the dissolution of the Soviet Union, which might have instigated Kim to secure his survival against the “fall of communism” domino effect in the 1990s. 3. Joint Declaration of the Denuclearization of the Korean Peninsula (Feb. 19, 1992): This is the first inter-Korean agreement on the denuclearization of the Korean Peninsula, in which the two sides promised not to test, manufacture, produce, receive, possess, store, deploy or use nuclear weapons. This agreement was referred to in the 2005 six-party talks’ joint statement but was never implemented. 4. 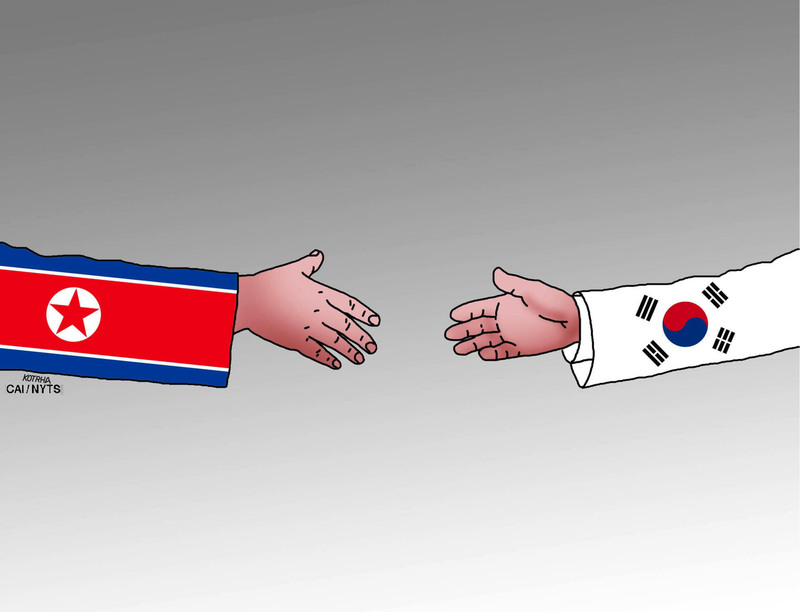 North-South Joint Declaration (June 15, 2000): Although this was the first inter-Korean document officially agreed on at the summit level, the agreement was never fulfilled partly because it was as generic and ambiguous as the 1972 joint statement. It should also be noted that the agreement did not refer to the North Korean nuclear issue at all. 5. Joint Statement of the Fourth Round of the Six-Party Talks (Sept. 19, 2005): In this statement, North Korea “committed to abandoning all nuclear weapons and existing nuclear programs” and to returning to the Nuclear Non-Proliferation Treaty regime. The U.S. and South Korea affirmed that they have no nuclear weapons deployed and no intention to attack North Korea. So far, this is the only multilateral agreement on the denuclearization. 6. Declaration on the Advancement of South-North Korean Relations, Peace and Prosperity (Oct. 4, 2007): This eight-point agreement only elaborated on the June 2000 joint declaration with some details and, therefore, had virtually no new or substantive elements on such key issues as unification, ceasing hostilities and, most importantly, North Korea’s denuclearization commitment. 7. Panmunjom Declaration for Peace, Prosperity and Unification of the Korean Peninsula (April 27): All three inter-Korean summit declarations called those meetings “historic” but the past two declarations were never realized. Can we trust the young grandson this time? Are we finally witnessing that “This third (or seventh) time is real”? Or, are we repeating the same old mistake that dishonesty outsmarts wishful thinking? Empirically, leaders of North Korea seem to have resorted to charm offensives whenever they faced a serious crisis of possible regime collapse. That was the case for the 1972 Joint Declaration in the middle of the U.S.-China normalization process and also for the 1991-1992 agreements made during the demise of the Soviet Union. That is probably also the case for the Panmunjom Declaration. Recent maximum pressure with strict economic sanctions might have induced Kim Jong Un to improve relations with the South in order, like his father and grandfather, to halt the hostile tide and survive his regime’s most serious crisis. Does Tokyo have to tremble and feel uneasy now? Is Japan being left out in the Korea diplomatic game? Hardly. Although Japan is not a direct Korean War party, it will definitely continue to be involved. It is also crystal clear that without Japan there will be no economic rejuvenation in the post-reunification Korean Peninsula. All in all, if Kim is honest and serious about his survival, unlike his father or grandfather, he must make strategic decisions for the regime he inherited. If not, nobody can guarantee his political survival. At least, the young Kim doesn’t seem to act on a whim and let’s hope so. More worrisome is the U.S. president. He may be more likely to think, react and behave on a whim. Don’t call him a Nobel Prize candidate. Never make him believe he can win international spotlights broadcast live from the summit venue. Seen from Tokyo, dangers may come not only from Pyongyang but also from Washington.